Thread: HELP A BANNED PERSON COMMUNICATE!! So I stop by JPR for some hopefully informational lurking, since there are still some worthwhile people there, and am forced to watch some of my favorite JPR members carry on what could have been a rational discussion, had they been aware of an essential element. 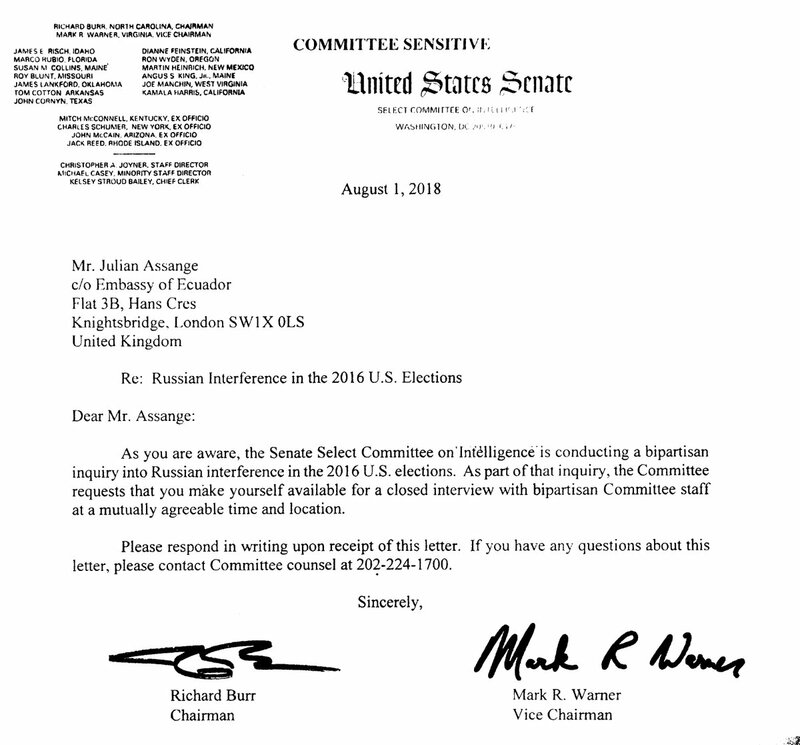 Apparently they have not read the letter that the Senate Committee on Select Intelligence sent to Julian Assange on August 1st. So they keep talking about Julian being forced/lured away from the Ecuadoran embassy. Not the case, folks! Could someone who is not banned please share the following information with Peace Patriot? You could comment in the thread or send a pm -- whatever. I'd love tto hear her ideas after she's read the letter. Key phrase: "at a mutually agreeable time and location"
I just got banned from a fauxgressive site for rejecting the MSM narrative re Charlottesville.